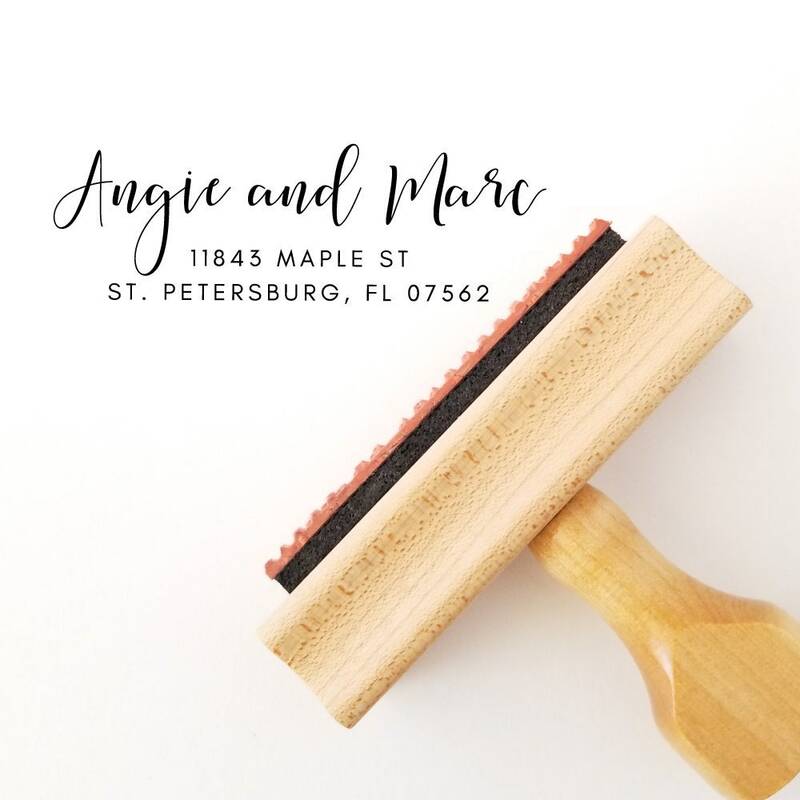 Beautiful wedding address stamp for adding your return address to invites or save the dates. 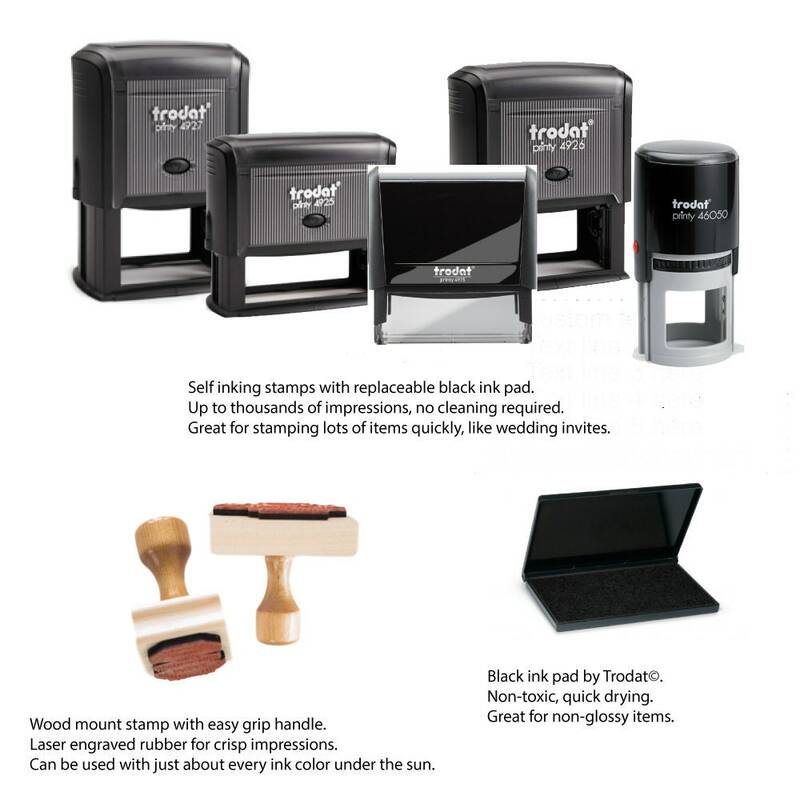 Impression size up to 0.77"h x 2.5"w. We'll personalize your stamp in the fonts and layout as shown. Perfect housewarming gift for the newlyweds. This is a great engagement gift idea, that will be used by the couple!